Have you been itching to get into the workshop and explore the art of engraving? 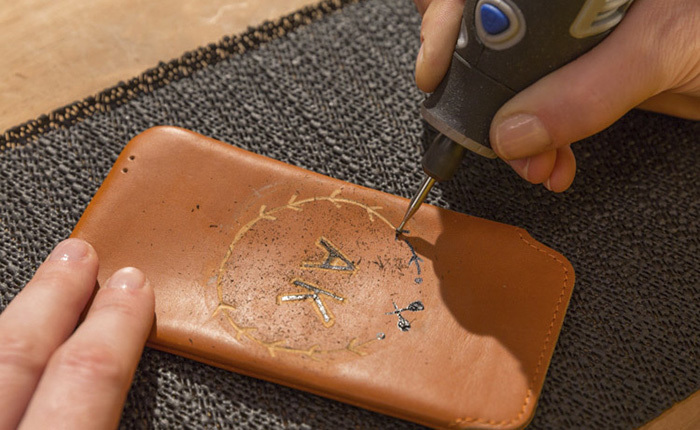 Then read on for our easy step-by-step guide to engraving your first piece of leather – your phone case. 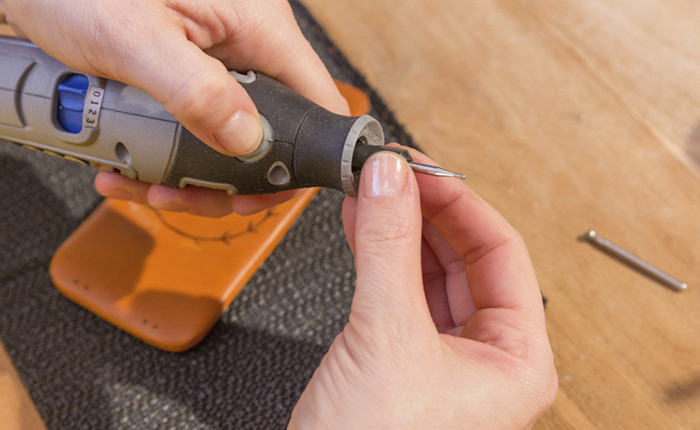 From transferring your design onto the leather to using the right accessory for your Dremel Multi-Tool, we’ll show you how to follow the project from start to finish. The end result? A personalised piece to store your phone in with pride. When it comes to picking the design your final engraving will take, you have two choices. The first it to draw one yourself. This is great if you’re bursting with ideas or already have something specific in mind – a family crest, for example. The other option is to take inspiration from another source: Instagram and Pinterest are great places to have a look. Once you’ve found a design you like, either draw or print it out in a size that will fit your phone case. 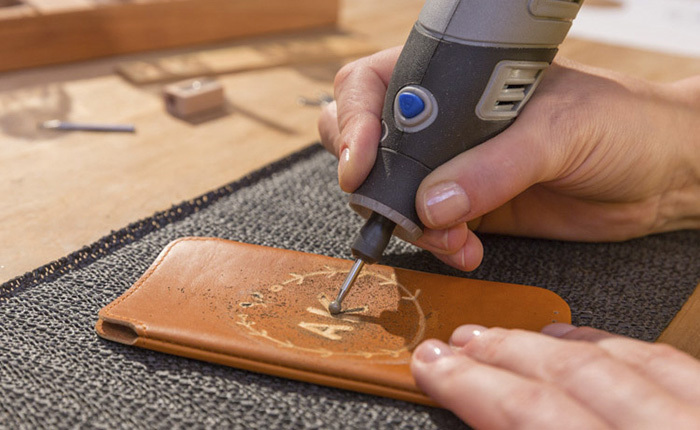 Once you’ve found your design, it’s time to transfer it to your leather case so you can use it as an engraving guide. It’s also important to note here that if your design includes words or initials (like this one) or anything else that’s not symmetrical, you’ll need to mirror the image. This is easily done on the computer (simply look for the “mirror” or “flip” command). Next, lay your mirrored design face-down on your phone case, and rub the back of the paper with some acetone. The combination of the acetone and the pressure will lift the ink off the paper, and onto the leather. 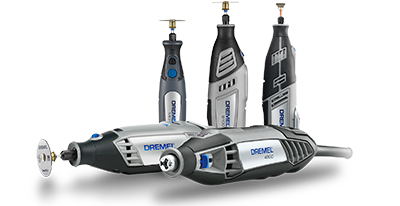 Before you begin to engrave, you’ll need to attach the right accessory to your Dremel Multi-Tool. 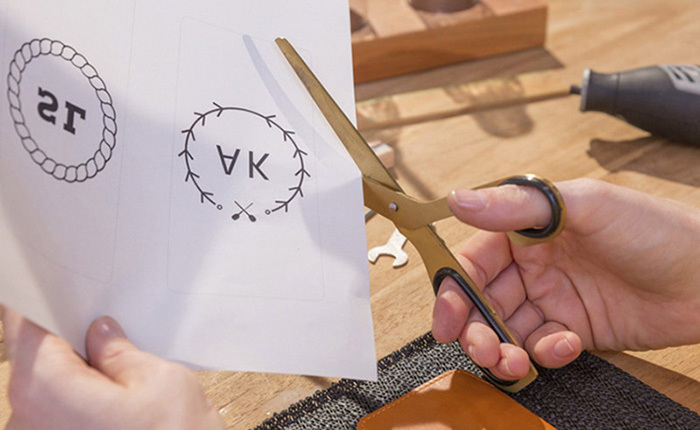 When it comes to engraving leather, a High Speed Cuttter or an Engraving Cutter works best. Why? They’re designed for use on soft materials, of which leather is one. Insert the accessory into the accessory shaft of your tool, and tighten the collet nut to prevent it from coming loose in the middle of your engraving. 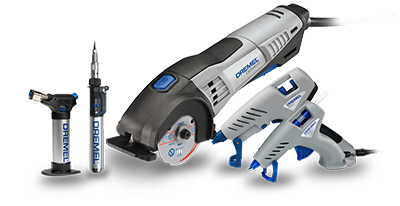 Now your tool is set up and ready to go, it’s time to begin engraving. It’s always a good idea to get a bit of practice in beforehand. Don’t have a scrap of leather lying around? An old belt makes the perfect practice piece – pick up your tool and see the effect the accessory has on leather. Hold the tool like you would a pencil, and without applying pressure, slowly trace your design with thin strokes. The golden tip here is to let the accessory do the work. Learn more about the pencil grip in the article How to Avoid Failures . If you’re tracing a design that has different weighted texts, you can change the thickness of the line simply by using another accessory. 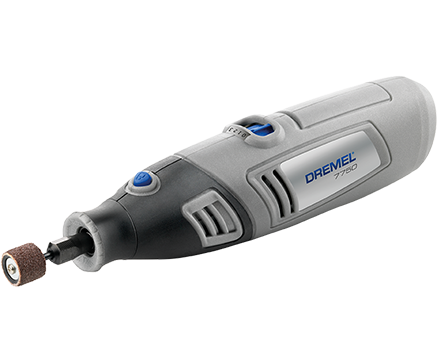 If you started with an Engraving Cutter of which the bit has a diameter of 1.6mm, you can always move up to the 1.9mm. Just change the accessory using the same method as you did in step 3. 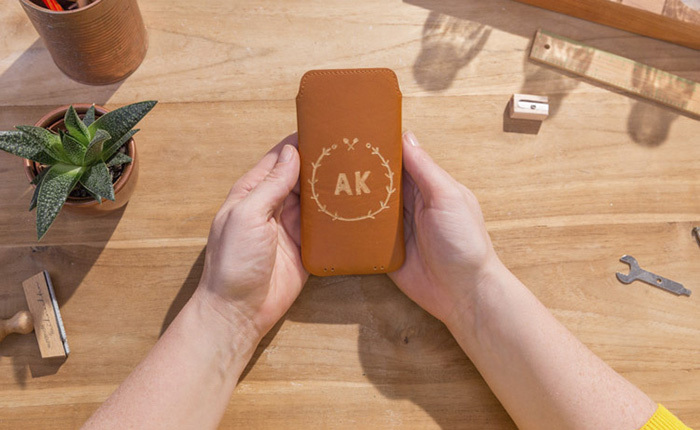 And now, the hard part is over: so stand back and appreciate the finished product that is your very own engraved leather phone case. It’s beautiful! And even if it doesn’t look exactly how you imagined – that’s ok! The biggest thing to remember here is that practice makes perfect. Excited to get going with another engraving project? Check out these four inspiring Instagram posts.